We offer two types of training and you can choose which suits you best. We recommend the fixed course since this has proved to be very effective, and gets you ready for the test in the shortest time. In both cases, the actual in-car training is on a one-to-one basis - though we may ask if you will allow a trainee Observer to sit in the back. All the in-car training is done in your car with you driving. 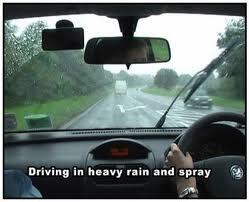 As you are already a qualified driver, you will be in-charge of the car and responsible for everything that happens. 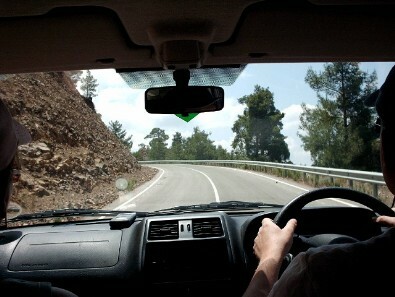 An Observer will be with you, watching what you do, and suggesting how you can improve your driving. This is why we use the term Observer, they will be watching and coaching, not instructing you how to drive. The Observer will have decided on a route for the session that allows one or more aspects of your driving to be exercised and honed. The Observer will be assessing your skills and prioritising the things that they feel need attention. Therefore, whilst there is an outline structure that guides your progress through the training, the details are flexible and the Observer will adapt to circumstances. The Observer will have been trained how to help improve your driving up to the standard required for the Advanced Test, and is regularly examined by the IAM to ensure the quality of this. We assign six different Observers in a pre-assigned schedule over six weeks. We feel that this gives you access to a large body of knowledge and experience, as well as exposing you to different styles of Advanced Driving. The result should be that you can develop the approach to Advanced Driving that works best for you, rather than being forced in one particular direction. A consequence of this approach is that we are bound by a schedule, which is why we ask you to commit in advance to the dates of the drives. To fit-in with the majority of people, our drives always take place on Sunday mornings. You therefore need to choose a course where you can make this commitment. Future course dates are show here. Most of our Observers have jobs and a family life, so need the drives to be fixed well in advance. Therefore once the schedule is in place, it is not possible to re-arrange the drives. The schedule is fixed around two weeks before the start of the course. If you need more than six drives then this is arranged on an individual basis. This is a flexible arrangement. We pair you up with an Observer, and the two of you agree when to meet and for how long. This usually means that the training is longer than six weeks. Because most Observers have jobs and a family life, you will need to negotiate when the drives take place. We do have a small number of Observers who are retired and can do daytime training for those who can take advantage of this. The main advantage of this type of training is its flexibility, but the elapsed time is usually longer than the Fixed Course.